A sentence is the largest unit of any language. In English, it begins with a capital letter and ends with a full-stop, or a question mark, or an exclamation mark. The sentence is generally defined as a word or a group of words that expresses a thorough idea by giving a statement/order, or asking a question, or exclaiming. He is a good boy (statement), Is he a good boy? (question), What a nice weather! (exclaiming). Ideally, a sentence requires at least one subject and one verb. Sometimes the subject of a sentence can be hidden, but the verb must be visible and present in the sentence. Verb is called the heart of a sentence. First, in written form, a sentence begins with a capital letter and ends with a period (i.e., a full stop) [. ], a note of interrogation (i.e., a question mark) [? ], or a note of exclamation (i.e., an exclamation mark) [!]. Second, it must express a complete thought, not fragmented. A simple sentence must have a single clause (a single verb) which is independent, and it cannot take another clause. A compound sentence must have more than one independent clause with no dependent clauses. Some specific conjunctions, punctuation, or both are used to join together these clauses. A complex sentence also has more than one clause but of one them must be an independent clause and the other/others must be (a) dependent clause(es). There are also some particular connectors for the clauses of a complex sentence to be connected. A compound-complex sentence (or complex–compound sentence) is a mixture of the features of compound and complex sentences in one sentence. So, it must contain at least two independent clauses and at least one dependent clause. An assertive sentence (declarative sentence) simply expresses an opinion/feeling, or makes a statement, or describes things. In other words, it declares something. This type of sentence ends with a period (i.e., a full-stop). We use an imperative sentence to make a request or to give a command. Imperative sentences usually end with a period (i.e., a full stop), but under certain circumstances, it can end with a note of exclamation (i.e., exclamation mark). When are you going to submit your assignment? An exclamatory sentence expresses the overflow of emotions. These emotions can be of happiness, wonder, sorrow, anger, etc. I cannot believe he would do that! A sentence is the largest unit of any language. In English, it begins with a capital letter and ends with a full-stop, or a question mark, or an exclamation mark. 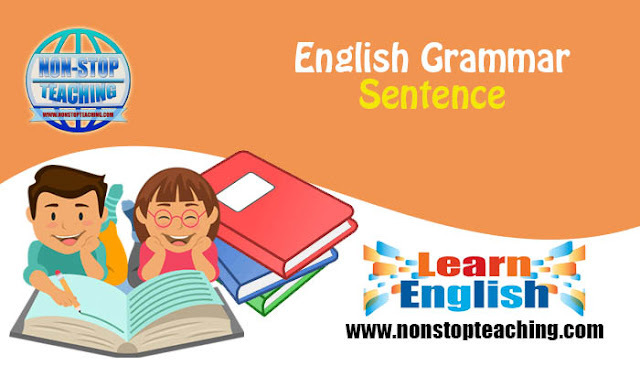 The sentence is generally defined as a word or a group of words that expresses a thorough idea by giving a statement/order, or asking a question, or exclaiming.